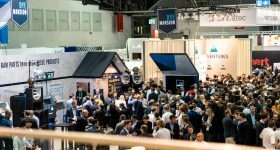 The 2018 RAPID+TCT Conference has come and gone as another strong demonstration of the growth present in the 3D printing industry. 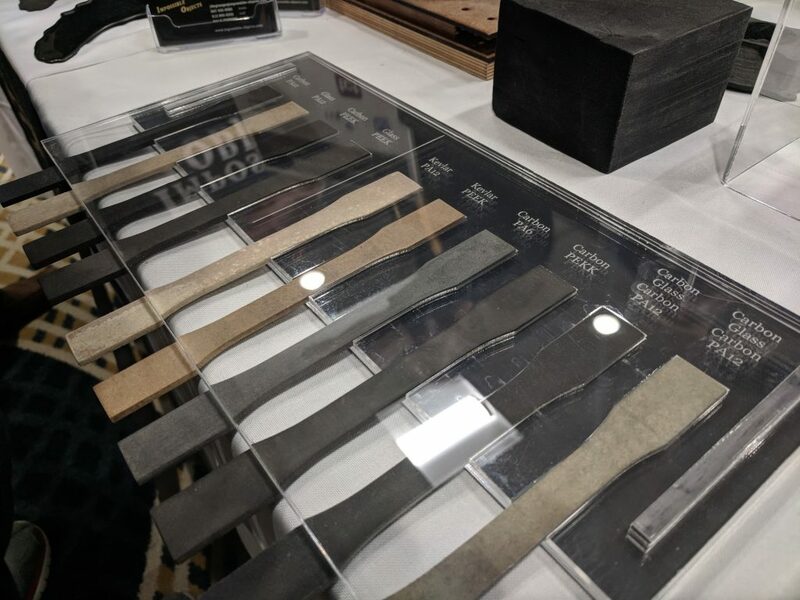 This year’s event in Fort Worth, Texas showcased more than 300 exhibitors and 150 technical talks to thousands of attendees. With industry-wide growth estimated between 21% and 25% annually, the $10 billion dollar mark could be reached as early as Q3 2019. Below are some of the innovations and trends fueling this growth, and their relative impact on the industry’s outlook. 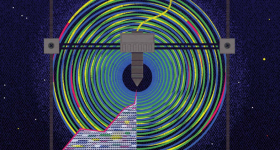 Directed energy deposition (DED) applicability expands with more diverse additive technologies. 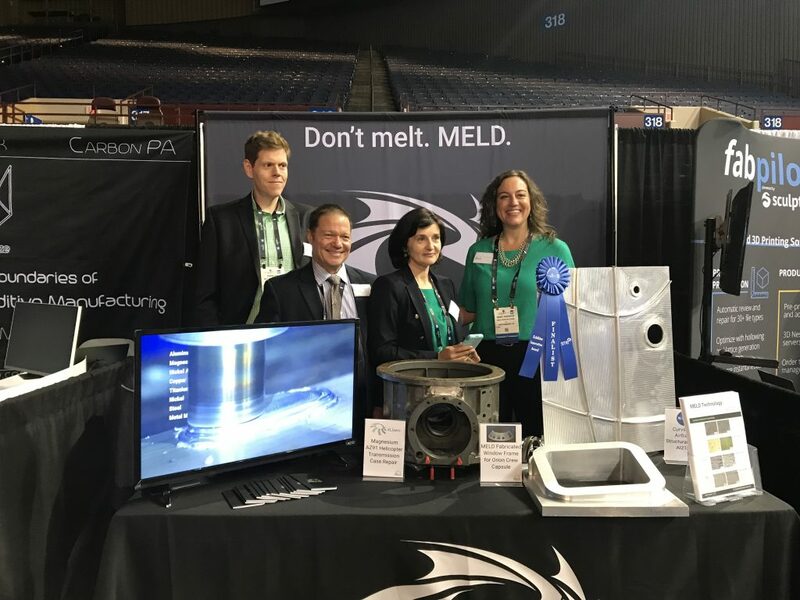 Meld Manufacturing, a new startup based on Aeroprobe’s friction stir welding technology, has launched its first system for producing, repairing, or joining near net shape fully dense metal parts in open air. 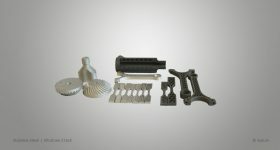 Coming to the 3D printing industry in similar fashion is Spee3d, which uses modified cold spray coating technology to produce near net shape parts without an electron or laser energy source. Recently, arc welding technology in a systematic additive process via Prodways’ Rapid Additive Forging (RAF) system has been delivered for commercial titanium part production as well. 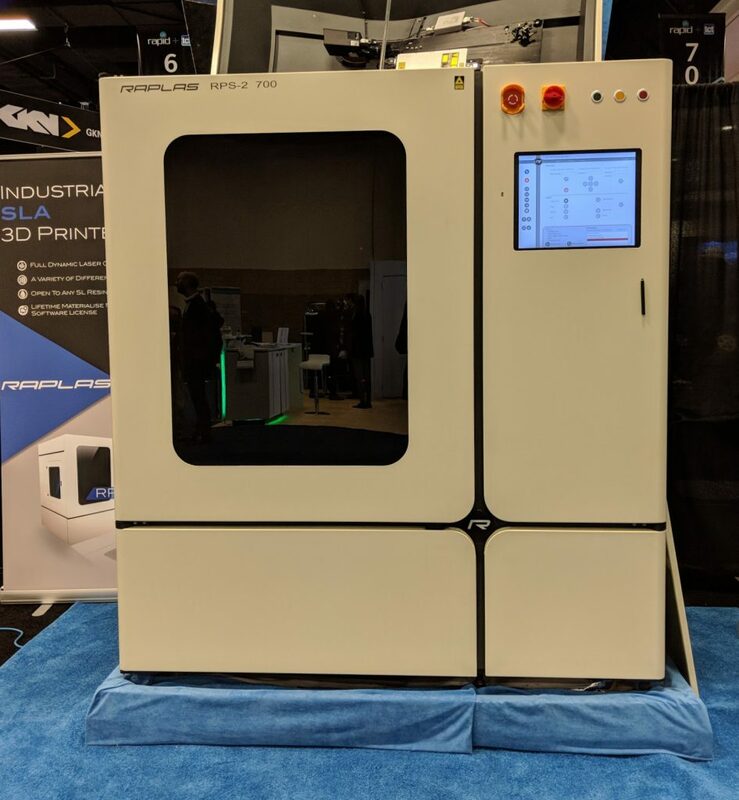 Raplas RPS-2 700 SLA printer on display at RAPID+TCT 2018. Photo by Dayton Horvath. 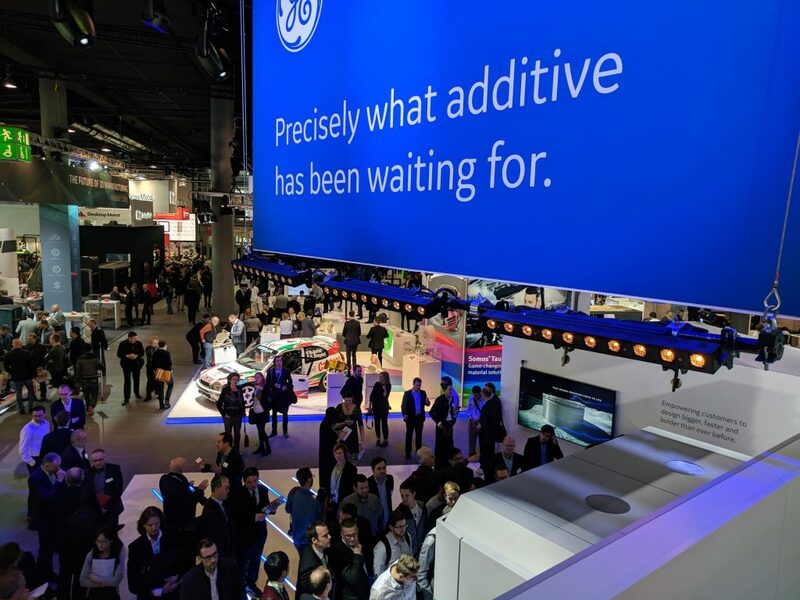 High Importance: The application space for DED technologies is starting to receive the attention that had been focused primarily on direct metal laser sintering (DMLS) technologies exemplified by GE Additive’s Atlas and other meter-class systems seen at Formnext. Where larger build volume DMLS systems aim to address large part needs in aerospace and defense, new DED-type technologies are expanding today’s limited DE use cases thanks to broader materials options, microstructure and density control, and higher throughput. GE launches the ATLAS 3D printing system. Photo by Michael Petch. Since processes like cold spray and friction stir welding are already part of today’s advanced manufacturing portfolio, adapting them as additive processes preserves the familiarity and trust built up in certain industries. 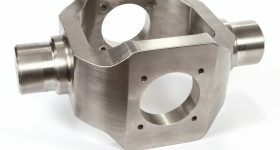 Although some consider the near net shape aspect truly limiting for DED, the compliment to subtractive machining is now becoming stronger, more relevant, and more production oriented than ever before. Non-metal 3D printer announcements aim for differentiation with limited success. Across selective laser sintering (SLS) and vat photopolymerization (VP), build volume increases are becoming increasing popular, and decreasingly valuable without comparable throughput increases. 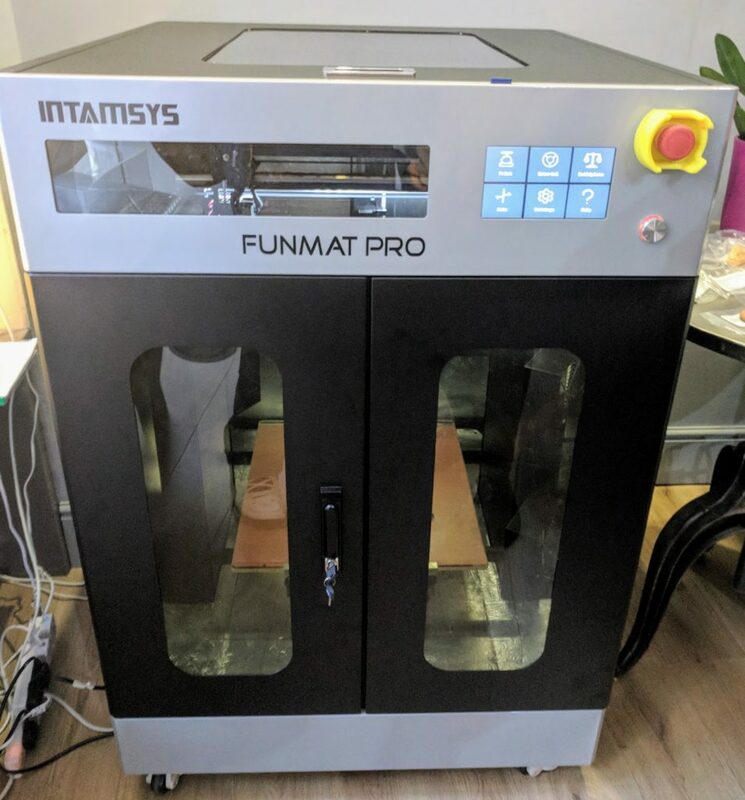 Any laser based system that increases in build area will suffer from this inverse relationship, and the latest printers from Farsoon (HT1001P SLS printer; 1000mm x 500mm x 450mm), Uniontech (RSPro1400 SLA printer; 1400mm x 700mm x 500mm), and RAPLAS America (RPS-2 700 SLA printer; 700mm x 700mm x 450mm) are prime examples where part production will require additional patience and scrutiny. In contrast, 3D Currax’s LCD panel-based VP technology is expected to bring print areas equivalent to today’s big screen LCD and plasma televisions without this inherent trade-off. 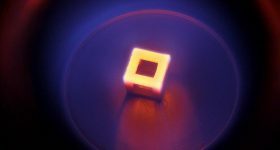 The back-lit LCD may have limited light intensity for some photopolymer resins, but avoids the distortion concerns that result from scaling up standard stereolithography (SLA) and some digital light projection (DLP) light sources. Low importance: These announcements are a marginal improvement in the prototyping-oriented SLS and VP 3D printers offered today. 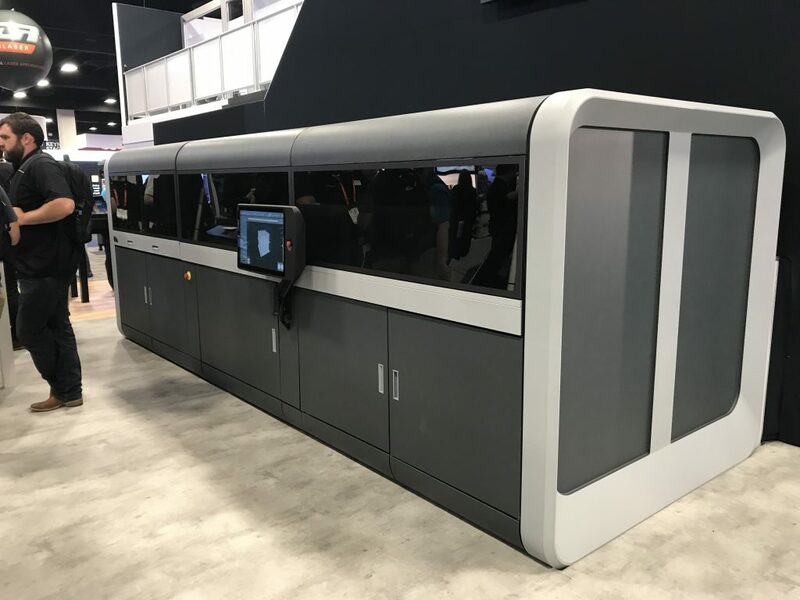 Despite these systems not targeting volume production, the capital cost, throughput, and material costs will confine the larger format SLS and VP systems to existing prototyping use cases. 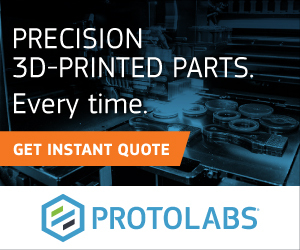 Those looking for prototype to production on the same system will remain confined to small part sizes or sent to other technologies such as fused filament fabrication. For example, see Essentium’s High Speed Extrusion printer; 600mm x 510mm x 600mm. High Speed Extrusion from Essentium. 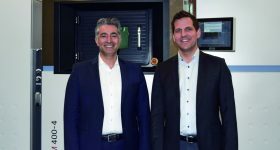 Performance applications continue to drive new printable thermoplastics. 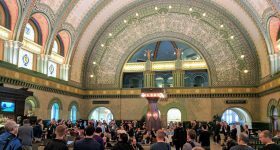 Polyetherketoneketone (PEKK) was the highlight material this year, with announcements from EOS (ALM HT-23), Stratasys (Antero 800NA), and demonstration parts from AON3D and Impossible Objects. The high performance thermoplastic is attractive for its high glass transition temperature, mechanical properties, dimensional stability, and low outgassing in extreme environments. Medium importance: Even though high material cost relegates PEKK’s use to medical implants as well as aerospace and defense parts, the filament version in particular lowers the barrier to print functional prototypes for demanding and metal-alternative applications. 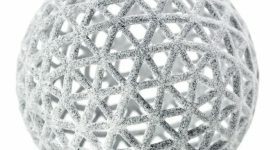 The powder form, on the other hand, will remain a niche material due to the inadequate maximum temperature rating on many SLS printers available today. As a result, EOS will dominate PEKK SLS printing as an OEM, while Oxford Performance Materials will maintain its dominance as a service provider for PEKK medical implants. 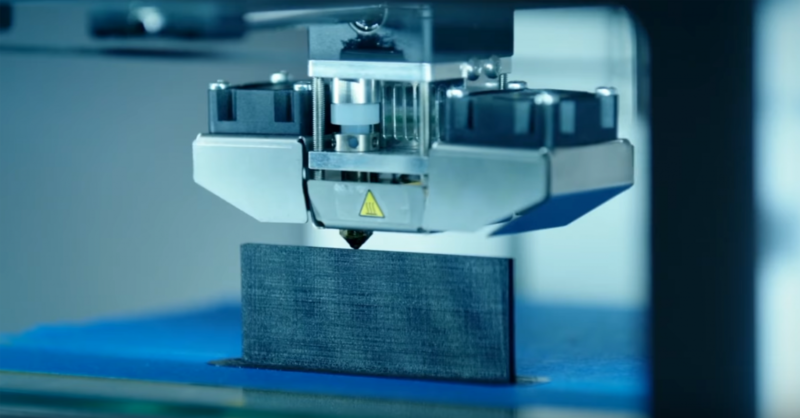 Impossible Objects joins the PEKK offering space with its composite sheet lamination technology. Dogbone tensile testing samples from Impossible Objects. Photo by Michael Petch. 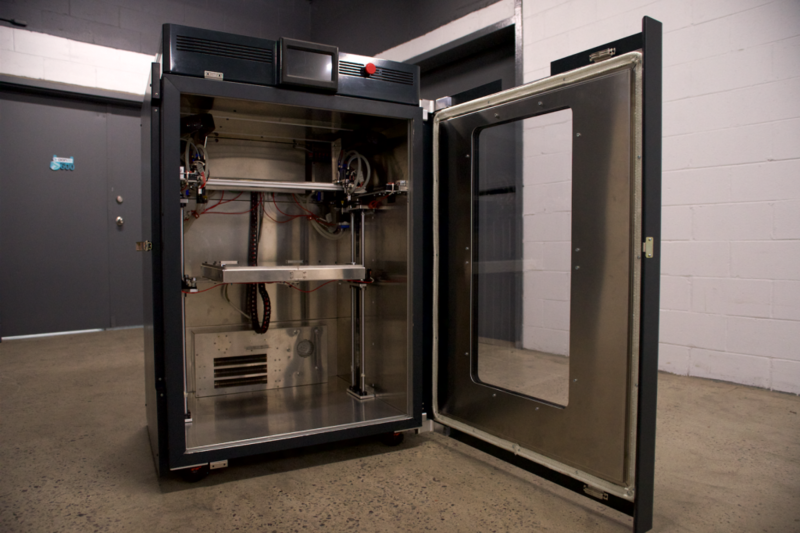 Non-metal market leader Stratasys announced an inkjet-based metal 3D printing technology. The company claims aluminum alloy parts printed in 2000, 4000, 6000, and 7000-series analogs at claimed ten times faster rate than DMLS systems under similar design constraints. Additionally, the parts supposedly exhibit 97+% density as printed, which increases to 99.9+% once sintered without any hot isostatic pressing-like process. 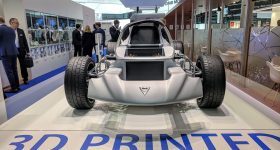 High Importance: A technological arms race is underway, and Stratasys is the latest to enter it with the end goal being high quality 3D printed aluminum parts, particularly non-casting alloy grades such as 6061 and 7075. 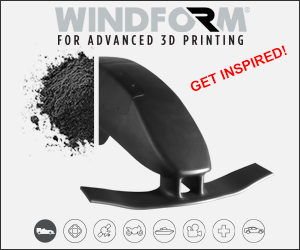 While the industry waits for further details and independent confirmation of Stratasys’ claims, numerous academic research groups, startups, and other corporates are pushing development in this area to begin addressing the needs present across transportation industries dependent on aluminum parts. Some of the organizations working on this sought after engineering alloy class includes HRL Labs, Vader Systems, Elementum 3D, EOS, Desktop Metal, HP, GE Additive, Velo3D, and Stratasys. As valuable as these materials and printer announcements are, they are only part of the additive manufacturing ecosystem. 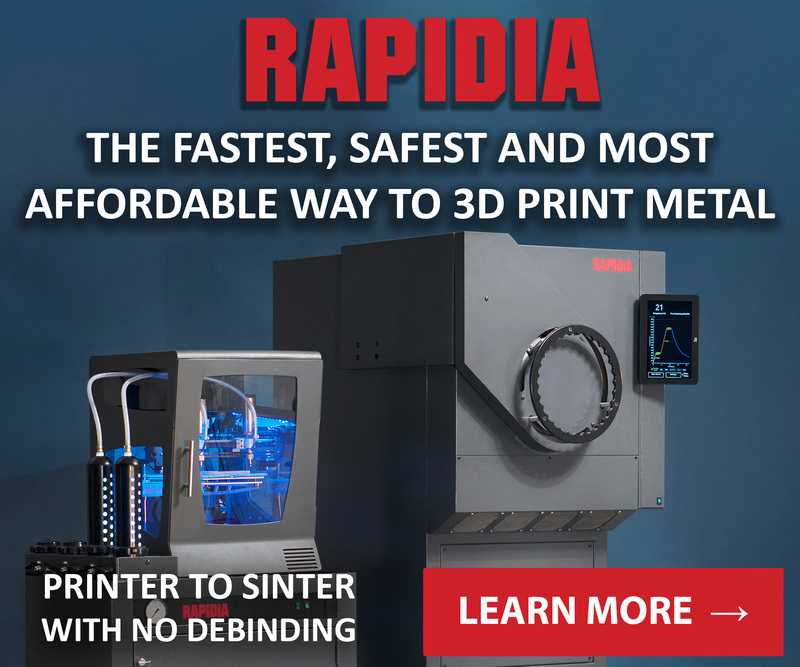 Despite fewer than expected software developments, RAPID+TCT has once again demonstrated the competitiveness and promise for growth through innovation present in this young industry. 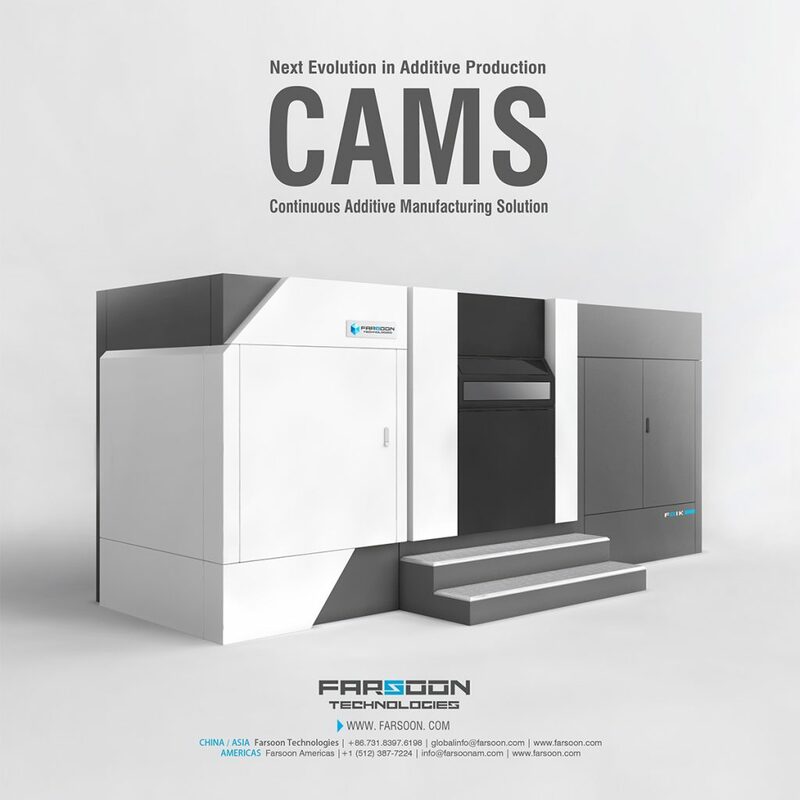 What are your thoughts about the advances in the additive manufacturing sector? Contact us if you’d like to share your thoughts with our readers. 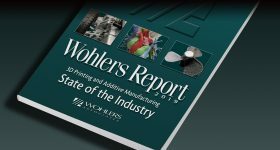 For all the latest additive manufacturing analysis and insight, subscribe to the 3D Printing Industry newsletter, follow us on Twitter, and like us on Facebook. 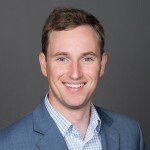 Dayton Horvath is a Principal at NewCap Partners, a lower mid-market investment bank with a dedicated focus on advanced manufacturing and materials M&A and financing. He is also an industry expert in additive manufacturing, and consults on a range of topics for startups and Fortune 500 corporations. He previously led the Materials Design and Manufacturing coverage area at Lux Research, a strategic advisory and market research firm. Dayton specializes in emerging technologies market research, analysis, and strategy with a particular focus on startups. Current areas of interest cover additive manufacturing, printable materials, design software, and materials informatics. He has presented recently at conferences including RAPID+TCT, JEC World, and TechConnect World Innovation Conference and Expo.